After months of leaks and rumors, Google has finally unveiled the Pixel 2 and Pixel 2 XL. If there were such a thing, the Pixel would be the one "true" Android flagship — so even if you don't plan on buying a Pixel 2, you'll want you learn more about this milestone device. Last year's Pixel lineup marked the first-ever phones that were truly made by Google, and sales figures were impressive for a first go. But this year, we're finally getting a chance to see some trends and get a feel for what Google, the OEM, will come to represent. So far, recurring themes for the Pixel line seem to include a class-leading camera and a focus on AI, with the Google Assistant at the forefront. Neither of the new models are truly bezel-less, so form factor doesn't appear to be a hallmark. Instead, Google seems to be putting user experience first (a la Apple), so we'll take a well-rounded look at the new Pixel 2 and Pixel XL 2 below. Camera: The Pixel 2 scored the highest-ever rating on DxOMark's mobile camera review board. The original Pixel kept the high mark for 11 months before being usurped by the iPhone 8, but the Pixel 2 has reclaimed this crown. Early reviews indicate this may indeed be the best camera ever put into a smartphone. Assistant: The Google Assistant is a big part of the Pixel 2. Unlike other Android phones with access to the Assistant, the new Pixels let you talk to Google by simply squeezing your phone. It will also be the first phone to get Google Lens, so it has a leg up on the competition here. Now Playing: A new always-listening feature will automatically identify any music playing around you and show the song's name on the lock screen without any user input. This takes place entirely on-device, so there's no need to worry about Google "spying" on you. Flagship Internals: Top-notch specs include a Snapdragon 835 SoC, 4 GB RAM, an LG-made OLED panel (on the XL variant), dual stereo speakers, and an f/1.8 aperture camera with optical image stabilization. Software: Three years of software updates are guaranteed (two years of Android OS upgrades and an extra year of security patches). Combined with Google's track record for updating their phones months before any other OEM, this means the Pixel 2 models will have the best software support available to any Android device. Headphone Jack: Neither the Pixel 2 nor the Pixel 2 XL include a 3.5 mm headphone jack. A USB-to-mini-jack adapter dongle comes in the box, and optimized Bluetooth earbuds are available for $160. We can't talk about the new Pixels without addressing their cameras — this is perhaps the single biggest reason to buy a Pixel 2. At 12.2 megapixels with a giant 1.4 µm pixel size and a wide f/1.8 aperture, the hardware is certainly top-notch. But as the camera spec race has started to reach its end, software and image processing are the real differentiating factors nowadays. First, the main knock on the rear camera from last year's Pixel models has been addressed: The Pixel 2 and Pixel 2 XL both sport optical image stabilization (OIS). When you combine this with Google's incredible software image stabilization (EIS), you'll notice your action shots have less blur, your low-light photos have reduced noise, and images in general will appear sharper. Google's highly acclaimed HDR+ algorithm has made a return with the Pixel 2. This is now supplemented by a dual-pixel camera sensor, which means that every tiny dot in your photos was actually captured by two independent light sensors. In short, low-light performance should be better than any other phone, and exposure balance will more closely mimic what the human eye actually sees. Speaking of the dual-pixel sensor, Google has used this as a means to recreate some of the effects you might get with stereoscopic camera setups. 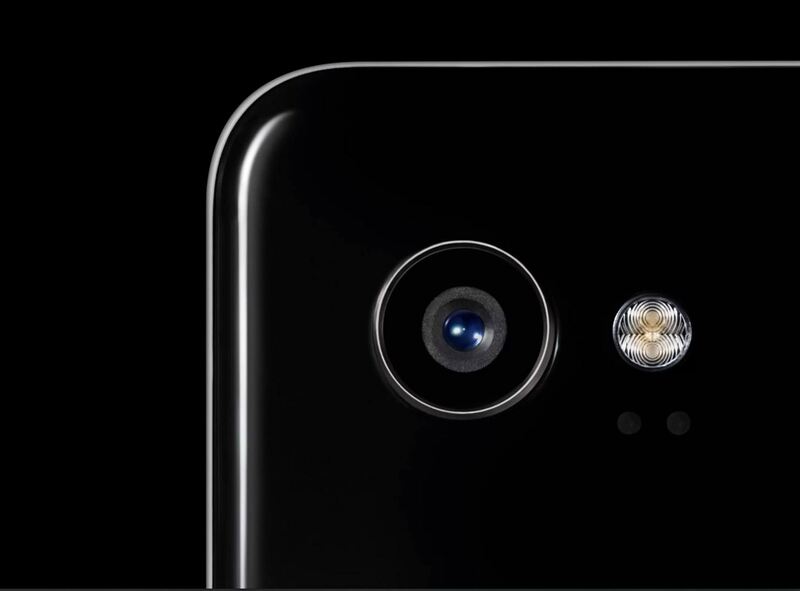 Instead of having two lenses on the back, the Pixel 2 only has one — but each sub-pixel in the single camera captures two sets of photons. Combined with some innovative software, this can effectively recreate the iPhone's Portrait Mode feature. In the end, the images produced by this camera should speak for themselves. Google put together a demo reel to showcase the Pixel 2's photographic prowess, so check it out below. The photos and video clips were all shot on the Pixel 2, and no color grading or post-processing was done. These days, the Google Assistant is everywhere — on Android or iOS, in numerous smart speakers, and even included with a set of earbuds. But the Pixel 2 still manages to maintain a small degree of exclusivity when it comes to Google's AI-powered virtual assistant. First off, when Google Lens makes its debut later this year, Pixel phones will be the first to gain access to the new feature. Think of Google Lens as a sort-of "Google for the real world." The same machine learning skills Google developed for its self-driving car have been combined with knowledge gained from Google Photos' search feature to develop technology that lets you learn more about objects by pointing your camera at them. This will be integrated into the Google Assistant and Google Photos in the coming months. Secondly, Pixel models are the only devices that will be fully compatible with the Google Assistant on the new Pixel Buds. Combined with Google Translate, these Bluetooth earbuds can even do real-time translations, so you'll be able to hold a conversation when you're in a foreign country — if you can afford the $140 price tag, that is. Finally, both Pixel 2 models will sport a squeezable frame similar to the HTC U11 — except the squeeze gesture will be used as a handy way to launch the Google Assistant. Sure, it's mostly a gimmick, but it beats saying "OK Google" to access your assistant. The Pixel 2 and Pixel 2 XL are, for the most part, functionally identical. The biggest difference is that the smaller version has significantly larger bezels. Not that the Pixel 2 XL is really bezel-less like the iPhone X or Galaxy Note 8, but Google has significantly increased the screen-to-body ratio on the larger model. Compared to last year's models, the Pixel 2 lineup sports a more streamlined aluminum enclosure with a noticeably smaller rear glass panel. The camera lens now protrudes a tiny bit, but that could be seen as a good thing when you consider the lens flare issues that plagued last year's Pixels as a result of the camera being embedded under the rear glass panel. Sadly, neither Pixel 2 model will include a 3.5 mm headphone jack. Instead, you'll have to rely on a USB-C dongle that connects the charging port to your existing headphones, or you can buy headphones that connect directly to the USB-C port. From the looks of things, however, we don't expect the Pixel 2 to make our list of the best phones for audiophiles this year. The smaller Pixel 2 model will be available in three colors: Just Black, Kinda Blue, and Clearly White. 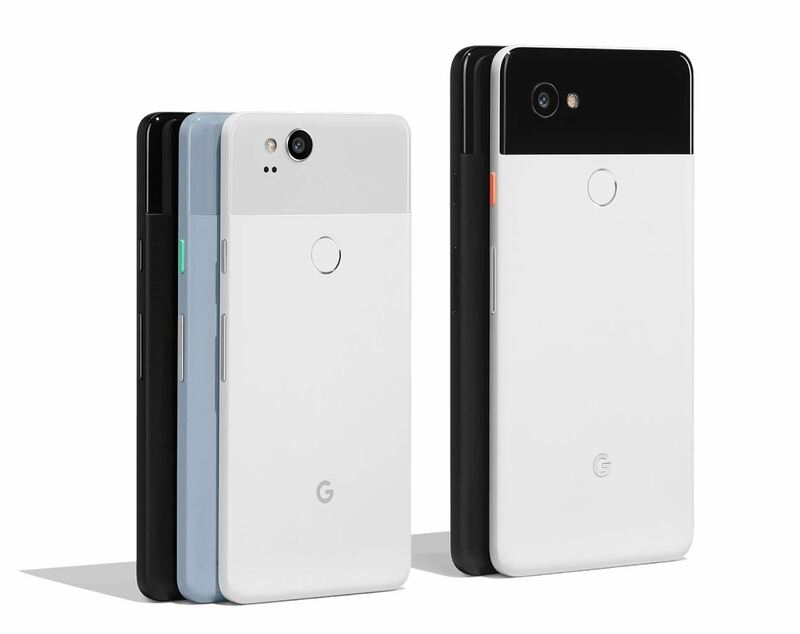 The Pixel 2 XL, on the other hand, only comes in two color combinations: Just Black or Black & White. That last color scheme may look a little odd at first glance, but we're betting it will grow on you like the two-tone Nexus 6P did with its "Stormtrooper" look. If you're a fan of Android — the operating system, not the ecosystem — then the Pixel 2 is the phone for you. As you surely know, Google makes Android, and the Pixel 2 doesn't really have an OEM skin, so it truly embodies Google's vision for the platform. As is the case with all Google phones, the Pixel will receive the latest version of Android months before any Samsung, LG, or HTC phone even sniffs the update. Google has promised three full years of software support for the Pixel 2 and Pixel 2 XL, so you'll get Oreo to start, then Android P, Android Q, and another year's worth of security updates. Aside from updates, some of the most unique features in the new Pixel lineup are software related as well. The camera will have a new shooting mode called Motion Photos, which behaves almost identically to Apple's Live Photos. It will also have a Face Retouching feature that removes blemishes and cleans up selfies. Other minor software enhancements remain to be seen, but we've already got a good look at one major change. 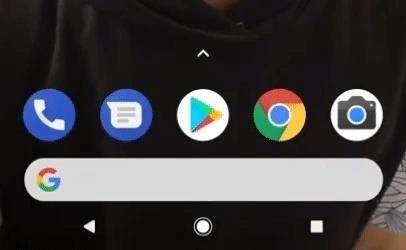 The Google Search widget, which has long been a staple at the top of Android home screens, has now been moved to the dock at the bottom and received a makeover. Finally, a new feature called Now Playing will automatically tell you the name of any song playing. You don't have to do anything — when any song is playing, you'll see the artist and title directly on your lock screen. Now Playing uses the Pixel 2's low-power always-listening core to scan for music without draining battery, and the database it checks against is housed completely on-device, so your privacy is intact and your monthly data allotment isn't in danger. Both of Pixel 2 models sport the same basic specifications, but there are some minor differences, which we'll note below. Key specs include a 1440p OLED screen and a 3,520 mAh battery — the largest battery in any mainstream flagship phone made in 2017. Dimensions: 6.22" x 3.02" x 0.31"
Flagship phones tend to command premium prices, and the Google Pixel 2 and Pixel 2 XL are no exception. The smaller Pixel 2 will stay at the same price range as its predecessor, so it'll run you $649 for the 64 GB version or $749 for the 128 GB variant. The Pixel 2 XL, however, will see a bump in price, and will go from $849 for the 64 GB model to $949 for the 128 GB version. All models are available for preorder at the Google Store online, or you can buy from Verizon or Project Fi if you prefer to go through a carrier. Both models will start shipping out and hitting shelves on October 19th — but be warned, Google had problems keeping the Pixel in stock last year, so you'll want to move quickly if you'd like to be one of the first to get your hands on the new flagship. Overall, the Pixel 2 already appears to be one of the best Android phones available. Though it doesn't quite have the spec sheet of the LG V30 or Galaxy Note 8, it comes very close on paper, and real-world performance should blow every other Android flagship out of the water. What are your thoughts on Google's newest phones? Let us know in the comment section below.